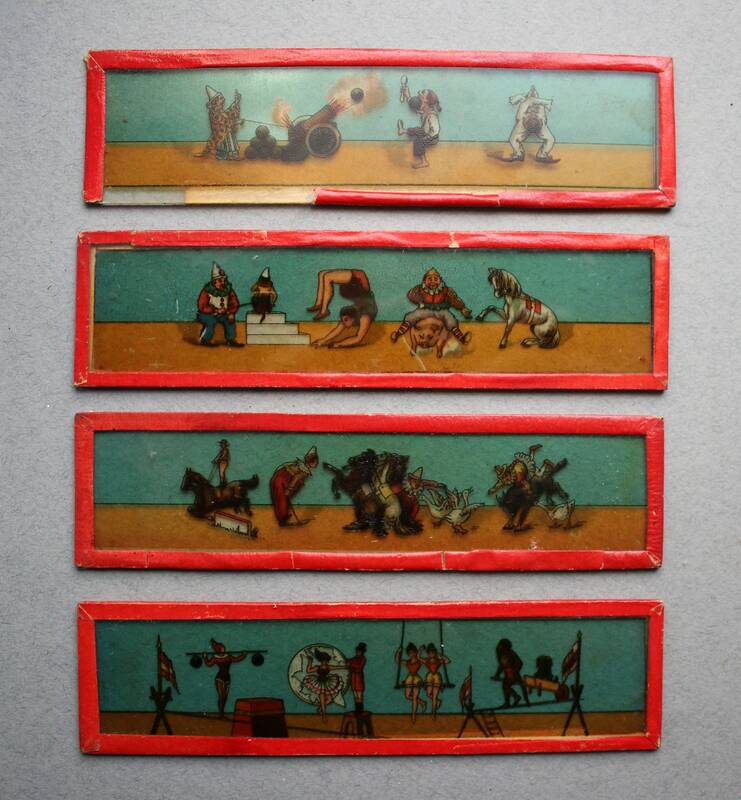 These four, circus-themed, glass magic lantern slides are circa late 1800s and could very well be from Germany as they were purchased in a lot of German magic lantern slides. Also, this type of slide was typical of German production. They are more than likely printed decals, and the edges are secured with orange material so as to render them safe for little hands. 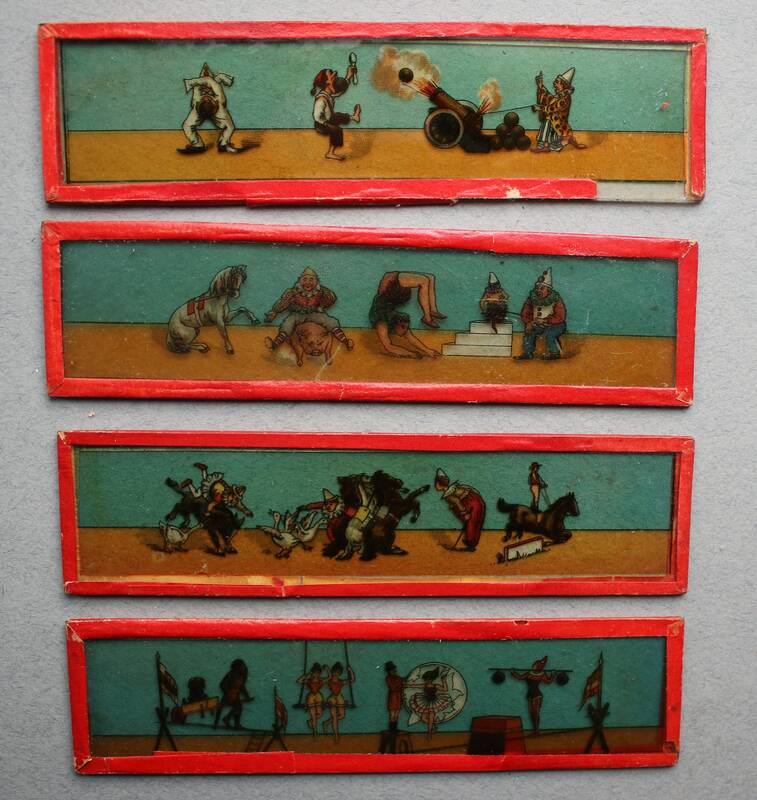 The slides are in good condition, but they do have some areas of wear on the glass. (See photos five and six, for example.) Please do examine all of the photographs, use the zoom function, and request more photos from me if necessary; I'll be happy to oblige. The price is for the set of four slides. They'll be sent via Priority Mail. Any difference of $1.00 or more in shipping overages will be promptly refunded to you upon shipment of your slides.